See how TNB empowers the community through various programmes. 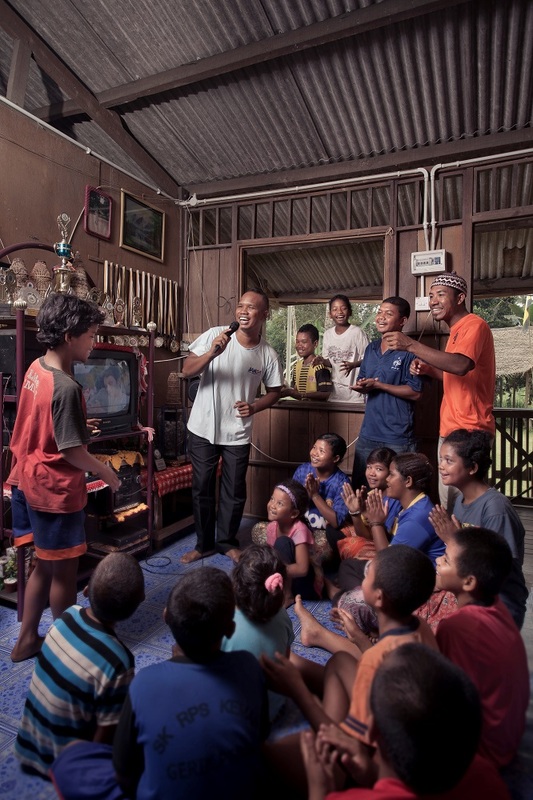 TNB’s community outreach initiatives have evolved to encompass: uplifting the lives of the underprivileged; promoting equal access to quality education; and developing the country’s sporting talents. and in FY2013 spurred an offshoot which has a wider scope of potential recipients. 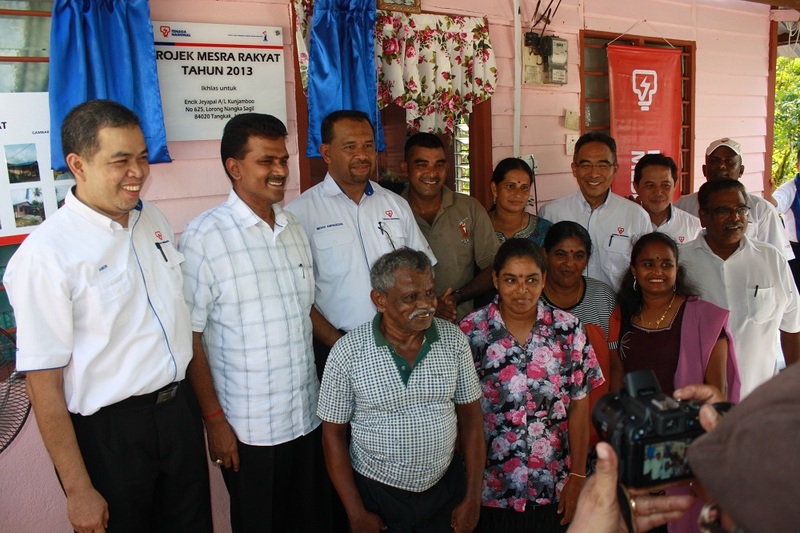 Under the new Projek Mesra Rakyat, TNB takes on the repairs of houses of any underprivileged customer, irrespective of race or religion. To date, 27 families in the peninsula have benefited from this programme. while wholly-owned University Tenaga Nasional (UNITEN) offers quality programmes to aspiring engineers, IT and business/finance managers at the foundation, undergraduate and postgraduate levels. In FY2013, UNITEN produced 1936 graduates. In aid of underprivileged students, UNITEN offers scholarships under the Yayasan Canselor UNITEN trust fund that was incorporated for a period of five years from 2010 to 2014 under the Trustees (Incorporation) Act 1952 (Act 258). Meanwhile, outstanding Malaysian students wishing to study at other institutes of higher learning have recourse to scholarships and convertible loans from TNB’s foundation, Yayasan Tenaga Nasional (YTN). In FY2013, YTN disbursed a total of RM37.4 million to sponsor the studies of 1,844 bright young minds locally and abroad. This marks the biggest annual contribution by TNB to date in its effort to generate a highly-skilled, professional workforce. At the school level, TNB has been a firm supporter of the Khazanah Nasional-inspired PINTAR school adoption programme. PINTAR, which stands for Promoting Intelligence, Nurturing Talent and Advocating Responsibility, fosters all-rounded excellence among students, particularly those in underserved schools. In FY2013, TNB adopted its second batch of 13 schools nationwide for a period of three years. In addition to motivational camps, tuition classes, examination seminars and clinics, TNB sponsored the Newspaper in Education programme at the schools, provided exercise books and other educational aids, ran English proficiency workshops for the students and teachers, and organised hockey coaching clinics. Its efforts were duly rewarded when all its schools recorded improved performances, and two that were recognised as High Performing Schools were placed in the School Cluster of Excellence by the Ministry of Education. In FY2013, TNB’s PINTAR programme had a positive impact on the lives of 4,297 students, 399 teachers and 12,891 members of the local communities. Within the sports arena, TNB has traditionally supported the advancement of hockey, and since 2006 has been sponsoring the activities of the Malaysian Hockey Confederation. It also organises a hockey coaching programme for students aged 13-17 years, conducted by employees who are national hockey players. TNB is a leader in the energy market in Malaysia, and in this role collaborates with the government to ensure universal provision of electricity to all Malaysians while also supporting the development of renewable energy to safeguard the sustainability of supply. Recognising its responsibility towards maintaining a high level of service, it regularly engages with its stakeholders to obtain their feedback, incorporating this into its business strategies. Together with the Ministry of Rural and Regional Development (KKLW) and Electricity Supplies Industry Trust Account under the Ministry of Energy, Green Technology and Water, TNB undertakes the Rural Electrification Programme which covers areas beyond the jurisdiction of local authorities throughout Peninsular Malaysia. 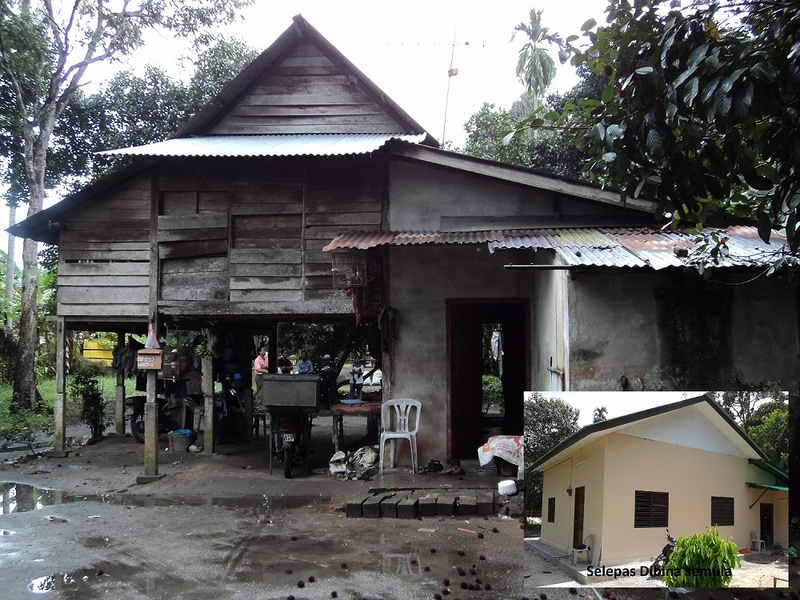 These include orang asli (indigenous folk) settlements, islands, small estates and remote villages. Where possible, TNB’s Grid is extended to these under-served communities; alternatively the villages are supplied with power using generator sets, solar hybrid systems and other forms of renewable energy. 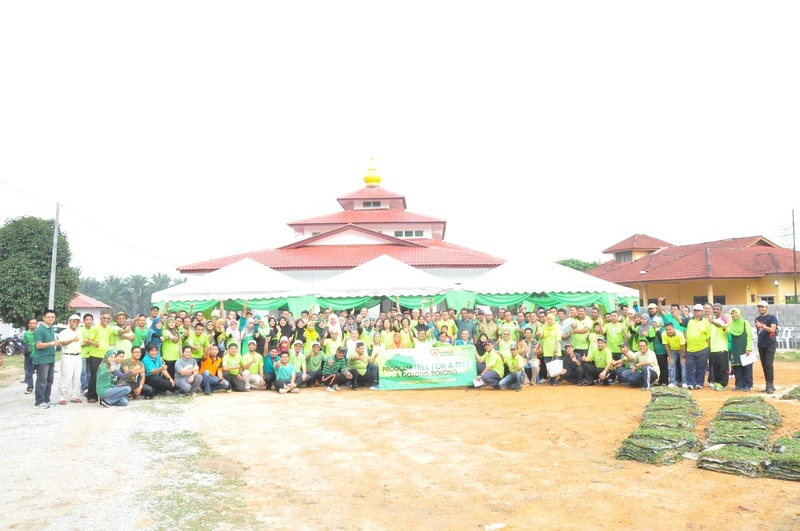 In FY2013, TNB completed 68 rural electrification projects involving close to 2,000 homes. TNB also undertakes the Village Street Lights project in collaboration with KKLW. Five phases of the project were completed from 2002-2011, which saw the installation of 137,109 street lights throughout the peninsula. 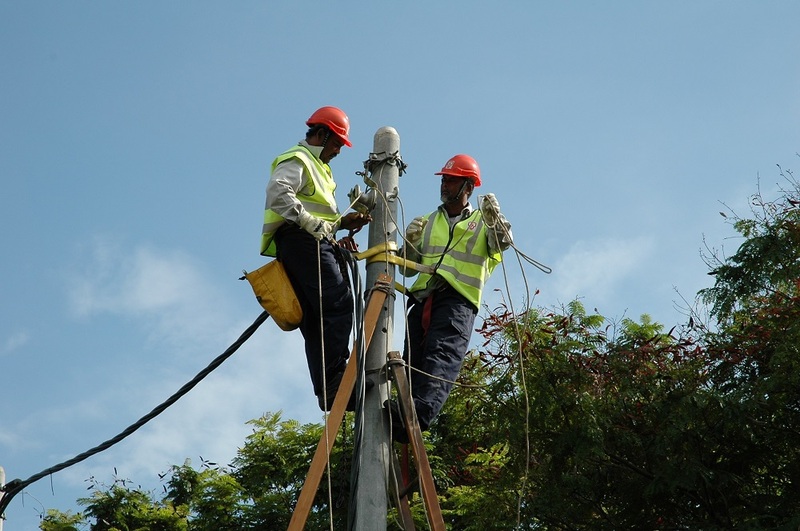 Under Phase 6, which runs from 15 November 2012 to 14 November 2013, another 70,000 street lights are to be put up. TNB acts as the implementing agency of this project, while KKLW bears the costs, and the local authorities determine the location of the street lights. To promote the safe use of electricity, the Company in FY2013 collaborated with FELDA to organise Electricity Safety Awareness Campaigns at 11 FELDA settlements in the peninsula, imparting potentially life-saving knowledge on electricity safety to more than 3,000 FELDA settlers and 900 primary school students in Penang, Kuala Lumpur and Putrajaya/Cyberjaya. 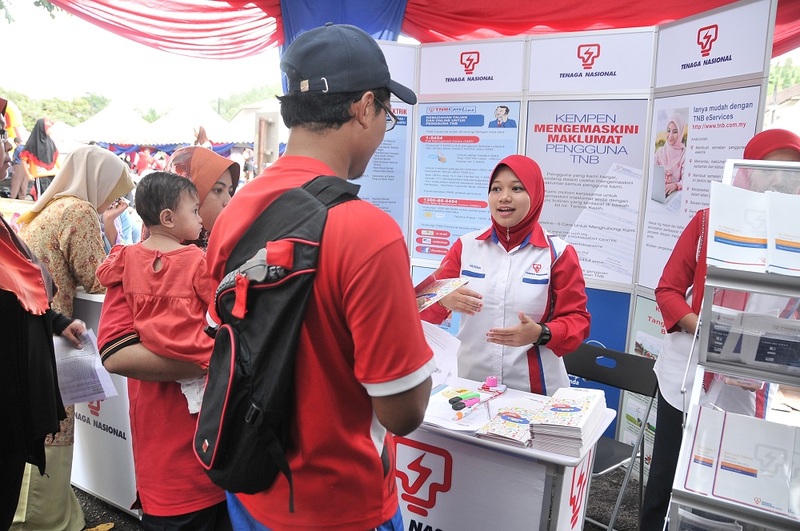 Further engagement with local communities is undertaken via the Community Outreach Programme (COP) at which Management interact with residents in a carnival-like atmosphere, and are able to gauge the level of satisfaction of local communities with TNB’s service while identifying areas for improvement. COP is an extension of the Community Leaders Outreach Programme (CLOP), and in FY2013 brought together more than 10,000 customers throughout the peninsula at 13 sessions. TNB has always been respectful of the environment, and has set industry benchmarks in the use of advanced technologies to minimise pollution from its plants. As issues concerning global climate change become more urgent, the Company has intensified its efforts to reduce its carbon footprint while enhancing the country’s natural heritage. TNB is guided in its eco-initiatives by its Green Energy Policy, introduced in 2011, which states: “TNB is committed to support the national green agenda and by applying sustainable, efficient operations and delivering green energy through the application of appropriate technologies and investments.” Two TNB power plants have won international acclaim for clean technologies, and for supporting wildlife. 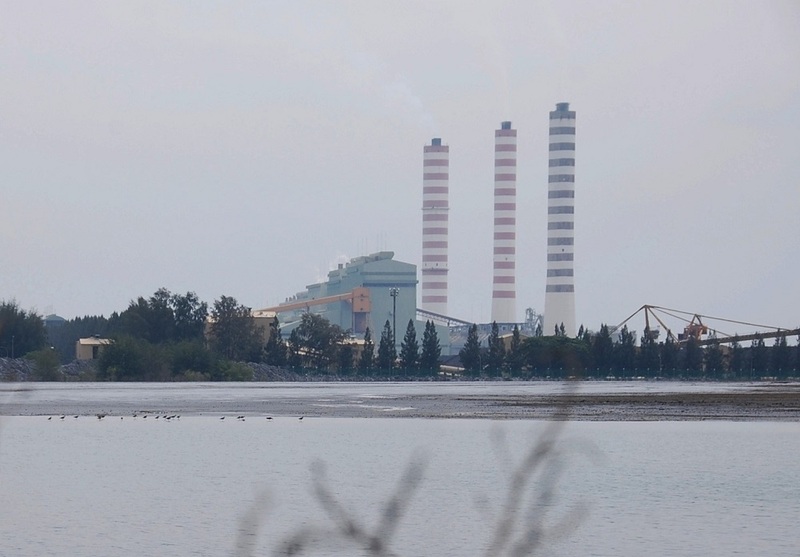 The ash pond at the Sultan Salahuddin Abdul Aziz Power Station in Kapar, Selangor has been recognised by the East Asean Australasian Shorebird as a sanctuary for migratory shorebirds. Apprised of the special role this ash pond plays, the Management is committed to working with local NGOs and the international community to preserve the man-made migratory bird habitat. Meanwhile, the mangroves surrounding the Sultan Azlan Shah Power Station in Perak support abundant aquatic life, as evidenced by an increase in number of licenses issued for cockle-fishing around the station over the years. This power station, officially opened in 2007, boasts one of the most modern clean coal technologies available, meeting World Health Organization standards. A thorough environmental impact assessment had been carried out prior to its construction, resulting in the use of equipment such as flue-gas desulphurisation and electrostatic precipitators to trap pollutants. The power plant also boasts a first of its kind smart weather-based coal dust suppression system for a coal stock yard in the country, and serves as a model of sustainable energy production. Further supporting the natural environment, TNB contributes to the preservation of the firefly colony in Kampung Kuantan, Kuala Selangor by conducting research on this light-emitting species. As a measure of its commitment to the Firefly Conservation Project, TNB will be signing a fresh MoU with the Kuala Selangor District Council in 2013 to extend its research/collaboration for another three years. In other areas around the country, TNB contributes to the greening of the environment by replacing every tree felled for the development of transmission infrastructure with a new seedling. 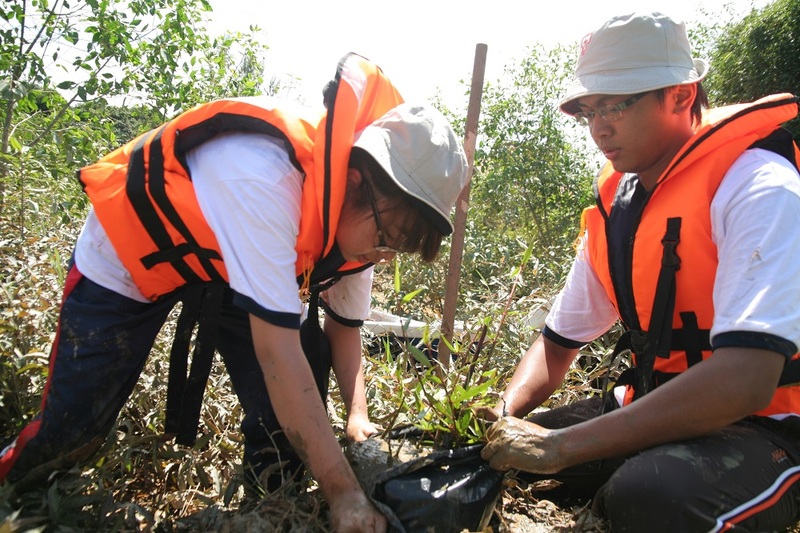 Under the Tree For A Tree programme, 419 seedlings were sown in FY2013 to protect the environment. See how TNB creates a vibrant workplace for all its employees. TNB believes its employees are its most valuable assets, and nurtures a work environment that is both challenging and rewarding to bring out the full potential of its 34,000-strong workforce. Systematic training programmes and career development opportunities exist side by side with a safe and healthy work environment, attractive compensation and benefits scheme, and work-life balance. To maintain high levels of morale and motivation, TNB recognises outstanding employees at the Meritorious Service Awards held at the corporate and divisional levels. 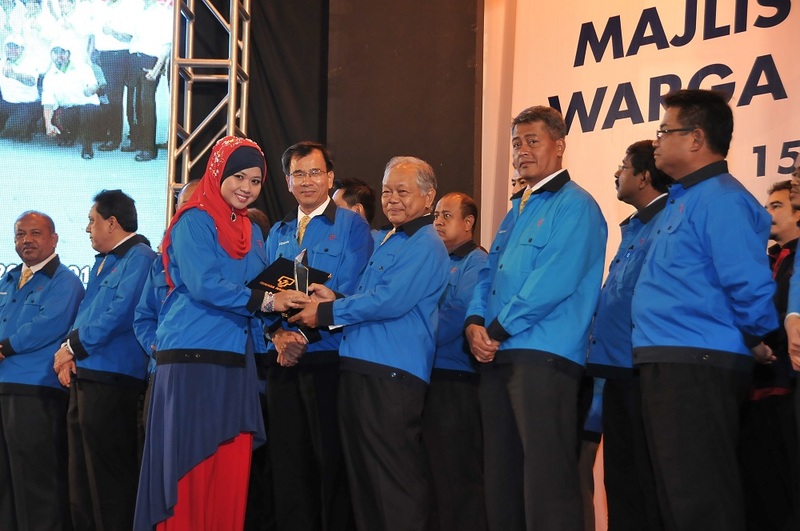 In the financial year under review, 28 executives and non-executives were presented awards at the Majlis Perhimpunan Warga Kerja TNB held on 15 January 2013. For the first time, too, 11 staff were identified by their Heads of Division to receive Unsung Heroes Awards for their dedication, integrity and hard work. In terms of health and well-being, a Total Wellness Programme was introduced in FY2013, under which employees are allowed to take one hour every week off their work schedule to participate in physical activities at the workplace. 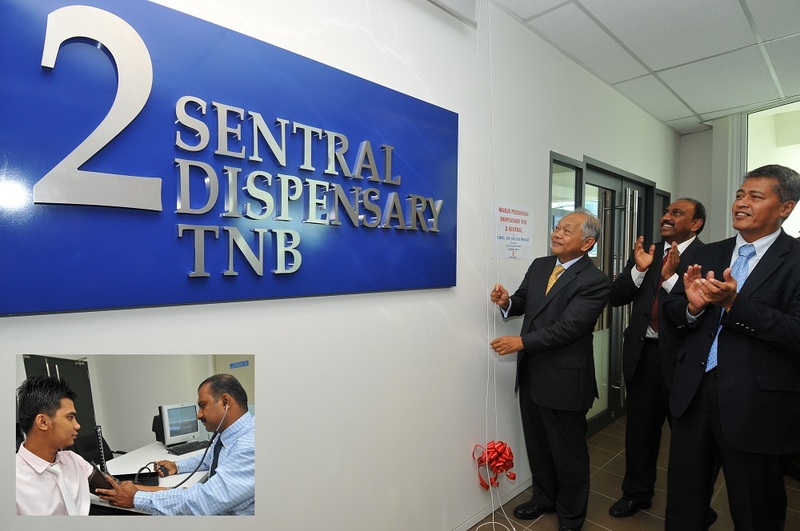 TNB also set up an in-house Dispensary – Dispensary 1TNB – to provide medical care to staff at the Dua Sentral Office Complex on Jalan Tun Sambanthan, Kuala Lumpur. The Company believes that a healthy work-life balance enhances productivity, therefore supports the childcare needs of employees by providing nine TASKA 1TNB and 11 TADIKA 1TNB at its offices nationwide. Meanwhile, staff take part in physical, recreational and social activities organised by the Company’s clubs and societies which include Kilat Clubs, PELITAWANIS and Persatuan Kebajikan Pekerja Islam TNB. While looking after its employees, TNB also embraces their families and invites them to take part in events such as Family Days which alternate on a yearly basis with the Sports Carnivals. Finally, TNB promotes diversity in the workplace and fosters a spirit of 1Malaysia by celebrating festivals such as Hari Raya Aidilfitri, Chinese New Year and Deepavali. On these occasions, stakeholders and guests are invited to the Company’s open house at its headquarters and all state offices. The Company also has a nationwide Buka Puasa programme during the month of Ramadan, when the Management in every state hosts about 300-400 guests to a breaking of fast at a local mosque. TNB recognises that corporations today play a dynamic role in shaping the socio-economic and environmental landscape of a country. 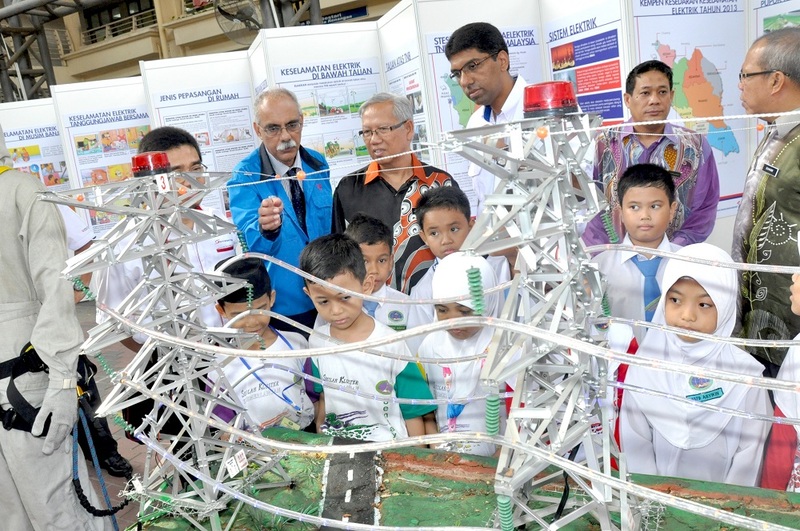 Via its extensive and comprehensive CR programmes, the Company hopes to be able to make a lasting and meaningful impact on the nation, benefitting the rakyat not only with a secure and reliable supply of power but also by creating greater national unity and engendering a spirit of togetherness via enhanced social equity.